I could never pull of wearing pants like that! I'm with Amy! Definitely couldn't pull those off. If I tried, someone would probably try to shoot me with a stun gun! You however, can totally pull them off! They look super comfy too. Very brave! And they look fantastic on you. 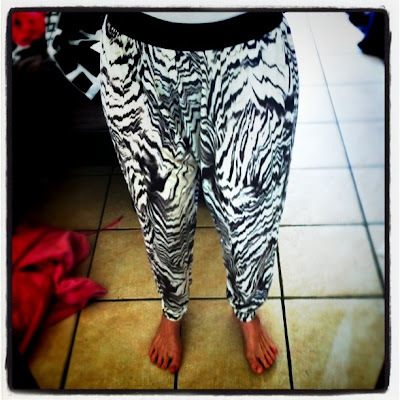 We've already discussed how i feel about genie pants but for you... awesome! The look great on you!! Wow they are bright. I wish I could be more outgoing when it comes to clothes. I see so many good things on other people and think 'I couldn't pull it off' but I think I'd be my hardest critic.